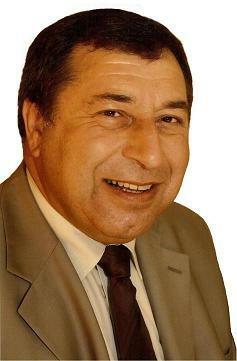 Services that deliver the best possible outcome for Aldershot residents. IN COUNCIL TAX FOR FORTY YEARS - 1.9%. We have kept your level of council tax as one of the lowest in the country and the lowest in the South East. We have been rated EXCELLENT for 7 years now by the governments' auditors and we are currently ranked as the top County Council in the country. We have committed to a 1.9% Council Tax increase next year too, again the joint lowest in the land! Our Children's Services, schools and Adult Social Services are recognised as amongst the best in the country. Schools results are well above the national average. We have held a Personalisation Commission to advise on Social Care whose report has been nationally acclaimed and which has formed the basis of a major change in Social Service provision in many local authorities. We have set up a climate change commission that reported on sustainable measures we could be undertaking which resulted in changes to practices that make Hampshire one of the "greenest" authorities in Europe. Our recycling is now far ahead of any rivals, we produce a significant amount of energy from waste and we have all but eliminated landfill as a method of disposing of household refuse. Built a total of 60 Sure Start Children's Centres with a further 25 due for completion during 2009 providing a range of education, social care and health provisions to every child and their family in the County within a short distance from where they live. Our opponents, when last in power, decided to give away our twenty-six residential homes for the elderly. We reversed this decision and refurbished many of those homes in addition to adding to the County's stock of residential and nursing beds provided by the public sector. To date we have added over 500 additional beds to our residential and nursing homes catering for our most dependent residents This is reducing bed blocking in your hospitals and no other council has done this much. ALL THIS IN SPITE OF THE LOSS OF OVER £60 MILLION IN GOVERNMENT FUNDING AND GETTING MUCH LESS GOVERNMENT GRANT THAN ANY OTHER COUNTY COUNCIL. Helped more and more elderly people to remain at home with our support. Helped many more children at risk to be cared for within their own extended families than ever before. We have built a number of new schools and extended or refurbished many others to give us more places for pupils in areas where demand is growing. We have added many million to our road maintenance programme specifically for minor roads and for pavements. We have refurbished over half of our Libraries and built two new Discovery Centres with more to follow. With more books being lent, the use of libraries has increased by between 30% and 80%. For your safety we have introduced over forty Community Safety Officers on to the streets of Hampshire. We have increased the budget for Children's Services and Adult Services very significantly since2005. Have delivered on our promises and will deliver more ... We will continue to keep your Council Tax down to one of the lowest in the country whilst staying amongst the best run councils. We will lobby the government for the return of Business Rates to Hampshire and for a fairer system of Council Tax. We will continue to drive down costs and improve services (we have made efficiency savings of over £50 million since 2005). We will support an increase in the number of affordable homes to be built, but will oppose the any proposals for excessive development in Hampshire. We will press the Government to support our plans for more and better roads, schools, health and transport. 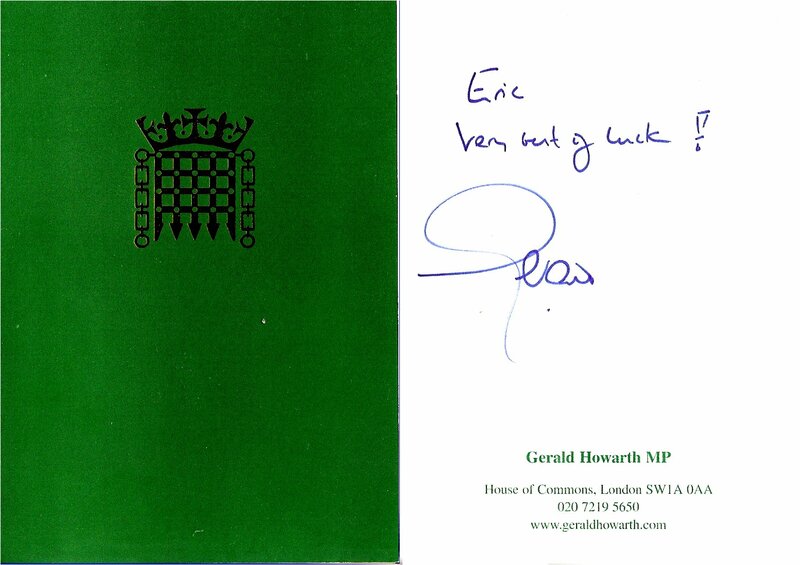 A card to me from Gerald at the start of my 2009 Aldershot East election campaign.